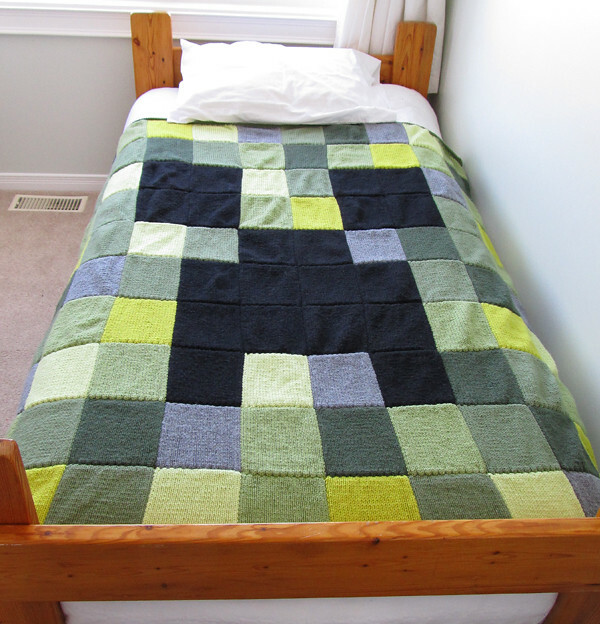 I originally posted about my Minecraft Creeper Blanket on my old blog back in 2013. I written anything new for that blog for years, and I just assumed nobody had looked at it in equally as long. As it turns out, someone had been trying to follow the pattern I’d posted — and then I took it down! So I am re-posting my old entry. I plan on doing this with more of my old work, subject to requests, so if there’s an old post you’d like to see, just ask. On July 16th, 2012, I almost lost my little brother to a house fire. The fire started in the room where he was trying to sleep away a flu, and he was lucky to get out alive and relatvely unhurt; he suffered some mild burns and smoke inhalaton. My parents, of course, threw a couple of things in a suitcase and started the drive to Halifax to take care of my brother in the hospital (he was there for almost a week) and then help him once he was out. With two young children at home, I couldn’t manage a 16-hour drive and indefinite hotel stay on practially no notice, but it didn’t mean that I didn’t want to be there. He’s my baby brother, man. I couldn’t just sit on my hands and do nothing. As it became more and more obvious that, between the fire damage and the water damage from puttng the fire out, my brother had lost just about everything, I started to wonder if there was anything I could make for him. Sure, the insurance should pay to replace most of the essentials, but what about those personal touches? That’s where the idea for this blanket was born. 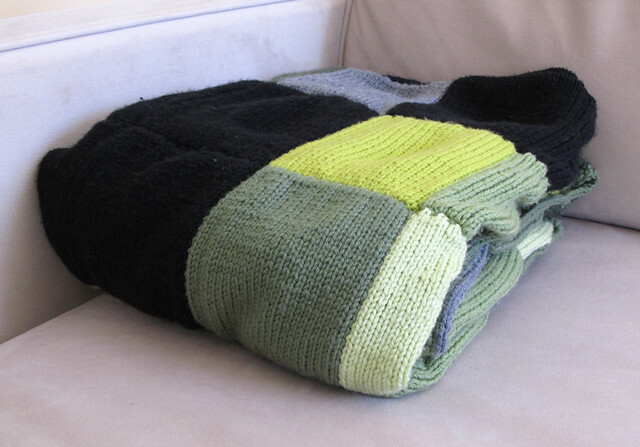 It took me six months of knitting to finish the blanket. At first I thought it would be ready for my brother’s birthday, then Christmas… In the end, it was a delayed Christmas present that I gave him in February. I swear I tried to make the Christmas deadline, but I still had at least 25 squares to go by the time December 25th rolled around. I mean, it took me almost a month to sew all 100 squares together. I now have a HUGE respect for anyone who undertakes this kind of project on a regular basis. My hat is off to you, sir or madam. It’s amazing how all that work folds up into such a small package. Here is the pattern that I designed if you’d like to try to knit the blanket yourself. I knit it as simple stockinette stitch squares, cast on 25 stitches and knit until they were square. 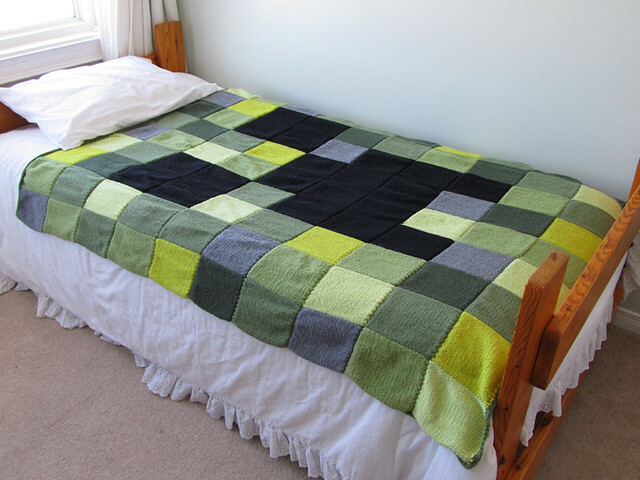 This makes a blanket that is big enough to generously cover a single bed, or barely cover a double. I’d give you exact dimensions, but the blanket is already with my brother in Halifax. I tried to find an acrylic yarn (brother has pets, it has to be easily washable) with as many shades of green as possible to make the Creeper appear authentic. This is the best selection I could find. If you try this pattern yourself or if you need more information before you give it a shot, please let me know! Posted on February 16, 2017 March 23, 2017 by owntwohandsblogPosted in Knitting, PatternsTagged gifts, Knitting, Patterns, yarn. I have a question. What color did you use to stitch the squares together? I’m making it for my son. I’m 50 squares in right now. When sewing the squares, if the adjoining squares were the same colour, I used that colour. If they were different colours, I just picked one of the two. And I’d love it if you would share the pictures when you’re done! 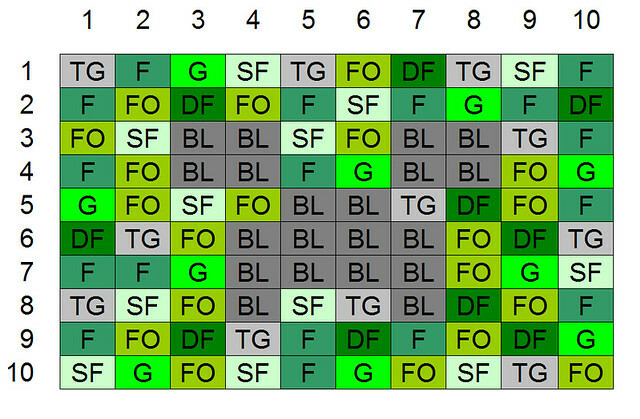 Could you tell me what size your square are? It’s been such a long time since I knit this, and the blanket now lives 1500km away… About 5″ per side if I remember correctly, but that’s just an approximation. how do you connect the squares? is there a hard ridge between the squares on the back side? Yes, I sewed the squares together. It makes for a small ridge on the back of the blanket where each square joins. 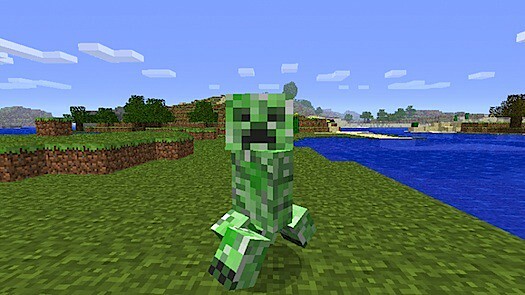 Good to see this Creeper Blanket back on the web pages. Inspired by your previous post, I created a Creeper blanket for one of my Grandsons. A bit different from yours as I knitted it all in one piece with an edging of moss stitch worked in black. Thanks for giving me the courage to a lasting gift made with love. 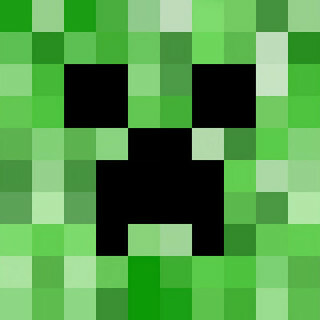 Good to see this Creeper Blanket back on the web pages. Inspired by your previous post, I created a Creeper blanket for one of my Grandsons. A bit different from yours as I knitted it all in one piece with an edging of moss stitch worked in black. Thanks for giving me the courage to make a gift made with love. I’m glad you like it! I hope that your grandson was thrilled.